Donald Leroy Stegman was born September 10, 1937, at Spearville, Kansas, to William Stegman and Margaret Schulte. 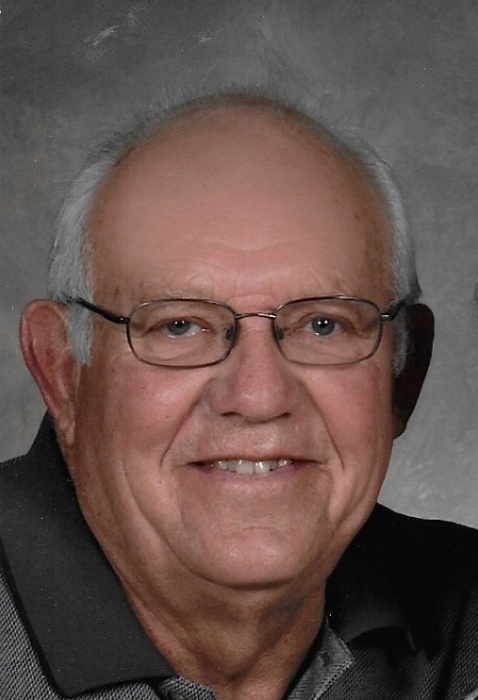 Donald passed away on September 15, 2018. Donald attended Offerle High School for two years and then graduated from Saint Mary of the Plains High School in 1955. Shortly after graduation, he joined the Army and was later discharged due to a disability. On March 30, 1959, he married Kathy Green, daughter of Wesley and Edna (Tenbrink) Green at St. Joseph Catholic Church, Offerle, Kansas. They raised their family in Offerle and recently moved to Hutchinson. While in Offerle, they were members of St. Joseph Catholic church where Don was a member of the Knights of Columbus. Don installed floor covering for Davis and Salsbury for 26 years and then opened Stegman Floor Gallery in Kinsley, where he retired in 2010. He enjoyed hunting, fishing, and attending his grandchildren’s activities. Survivors include his wife, Kathy; daughters Katrina Riner (Matt), Cindy Beckerman (Tim), and Brenda Stegman; sons Louis Stegman (Mindy), Leroy Stegman, and Lance Stegman (Lanette); 17 grandchildren, 15 great grandchildren; brothers Wayne Stegman (Judy), Dean Stegman (Darla) and Rean Stegman (Jerri); sisters Pat Coates (Les), Bernadette Worcester (Richard), and Evelyn Stegman. Don was preceded in death by his parents and a sister and brother-in-law, Janice and Don Riedlinger. The vigil service will be held at 7:00 pm Friday, September 21, 2018 at St. Joseph Catholic Church, Offerle. Mass of Christian burial will be at 10:30 Saturday, September 22, 2018 at St. Joseph Catholic Church with Father John Strasser presiding. Burial will follow in St. Joseph Catholic Cemetery.